In October 2017 it was widely reported that Personal insolvencies rose by 11pc in the three months to September. This was up by 8% for the same period in 2016, the largest contributor to the increase was the record number, 15,523 individual voluntary agreements. There were also 6,274 debt relief orders for the same period. At the same time it is also being reported that real wages are falling and that personal credit limit is being increasingly limited. With individuals likely to find it a struggle paying for the essentials in life it was only a matter of time before the High Street began reporting difficulties. In October it was reported that the number of insolvent businesses had risen by 15% compared to the second quarter. With less money in the consumer pockets it is not therefore surprising to hear that even the larger of the traditional high street shops are looking to their landlords to help ease the pain by reducing rents. By the end of 2017 it was reported that 118 retailers went into administration last year, representing a 28 per cent increase on the 92 that filed for insolvency in 2016. Analysis carried out by Deloittes showed that nobody was safe, noting that for the large retailers (those operating more than 10 stores) the figure had risen by 55%. 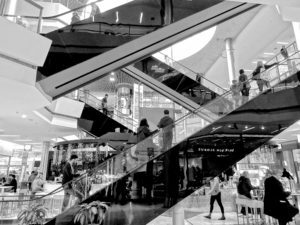 Of the 118 retail administrations in 2017, the biggest number – or 26 per cent – happened in London, followed by the North West which accounted for 22 per cent and the South East, where 20 per cent of the insolvencies occurred. With Christmas sale figures being released over January it will interesting to see who the winners and losers were in terms of retail sales, however real questions remain as to how the economy generally will perform over the coming 12 months with uncertainty to remain and confidence likely to remain flat. Requests for better payment terms, by better they really want to delay paying you! A turn over of staff. Having to chase for payment. Failure to submit returns and accounts to Companies House. At Cognitive Law we take a commercial approach to assisting you with your business whether it is debt recovery, dealing with an insolvent customer or assisting you in restructuring and turning your business around.